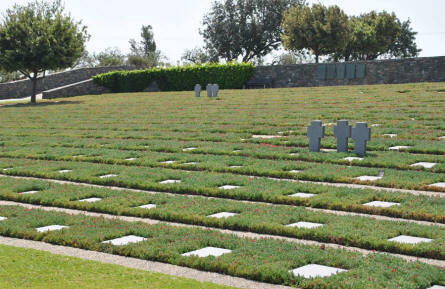 The Maleme German War Graves is located at the north western part of Crete - close to the Maleme airfield that was on of the main targets during the German attack on Crete in May 1941. Many of the graves at this cemetery is from May 1941, but there are graves from most of World War II. 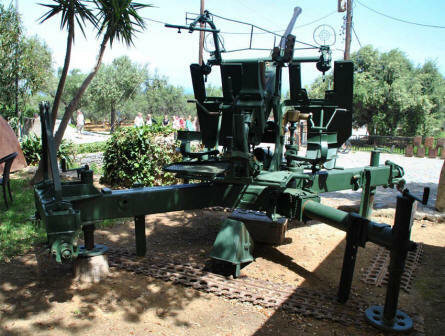 A small museum and café is located next to the entrance to the cemetery. 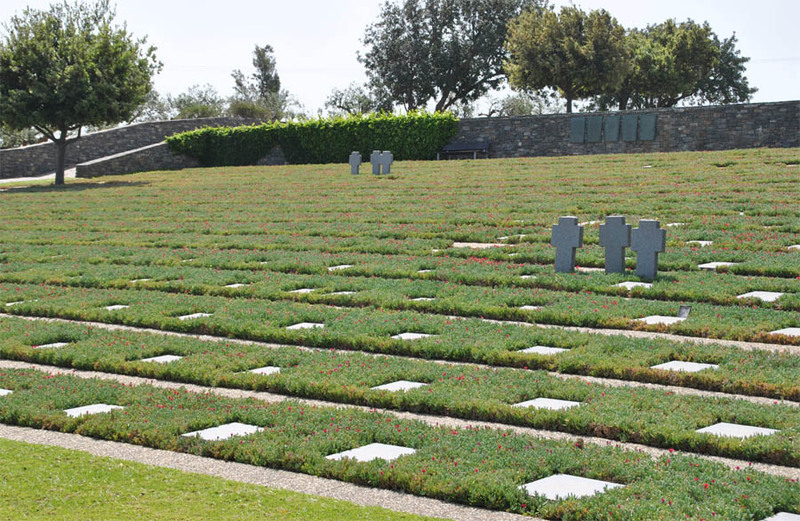 One of the many World War II graves at the Maleme German War Graves on Crete. 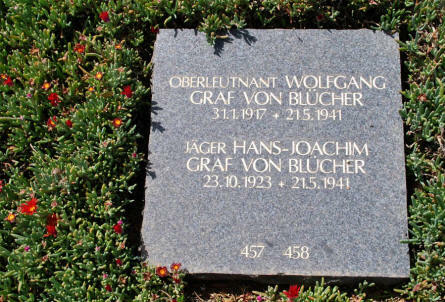 This grave is for two soldiers that were killed during the German invasion of Crete in May 1941. 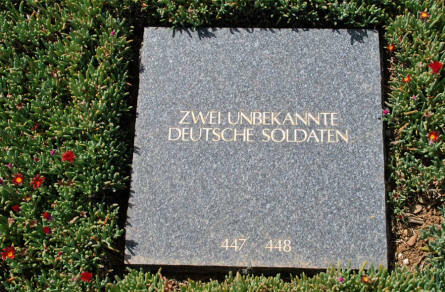 The soldiers seems to be brothers and one of them were a rather high-ranking officer. 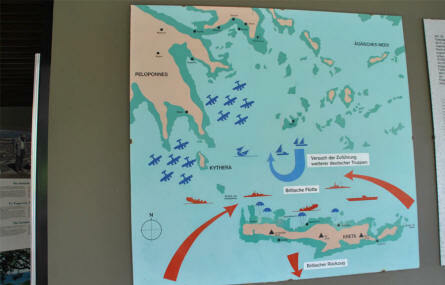 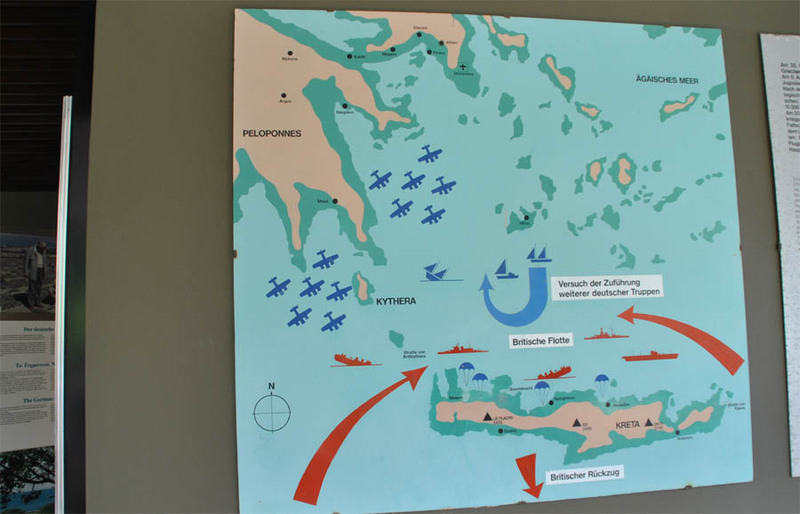 A map of the German World War II attack on Crete (May 1941) displayed at the entrance to the Maleme German War Graves on Crete. 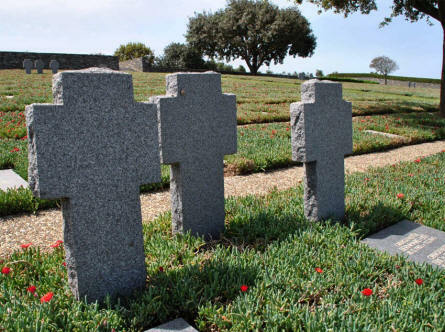 Some of the many World War II graves at the Maleme German War Graves on Crete. A World War II anti-aircraft gun displayed at small museum at the entrance to the Maleme German War Graves on Crete. 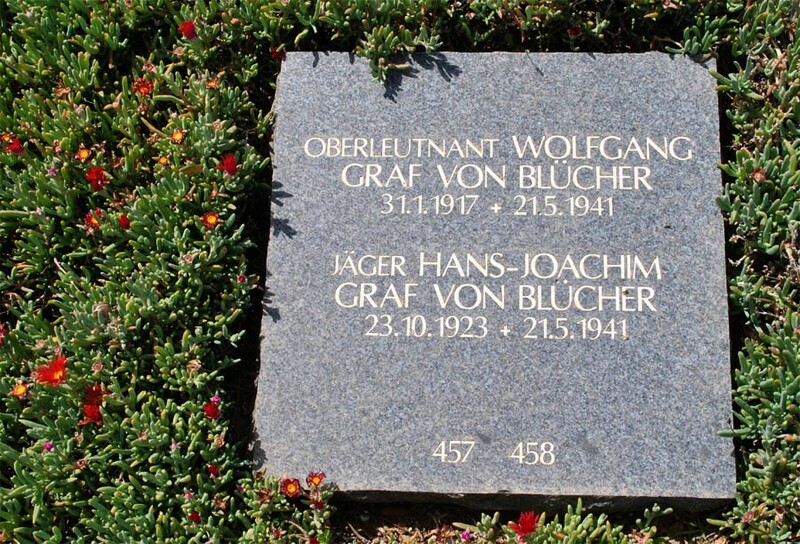 One of the many World War II graves at the Maleme German War Graves on Crete. 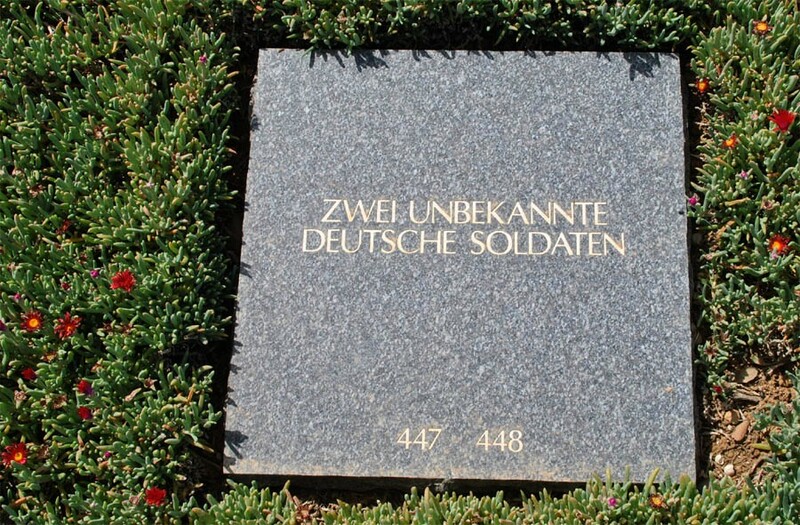 This one is for two "unknown" soldiers.